Certsy is revolutionising the use of verified data in the labour market. Working with Australia's leading job site SEEK, they enable job seekers to stand out by sharing verified qualifications, licences & credentials early in the recruitment process. When approaching this project we took a holistic view, carefully focusing on a users journey from start to finish. The beginning of the route looks at website and marketing promo pages. These designs boast well paced friendly yet professional illustrations and typography, which speak directly to the target audience. Following on from the website we also worked on the UX/UI of the Certsy app. Here users can upload various forms of identification and apply for credentials, through a dynamic and easy to use form. 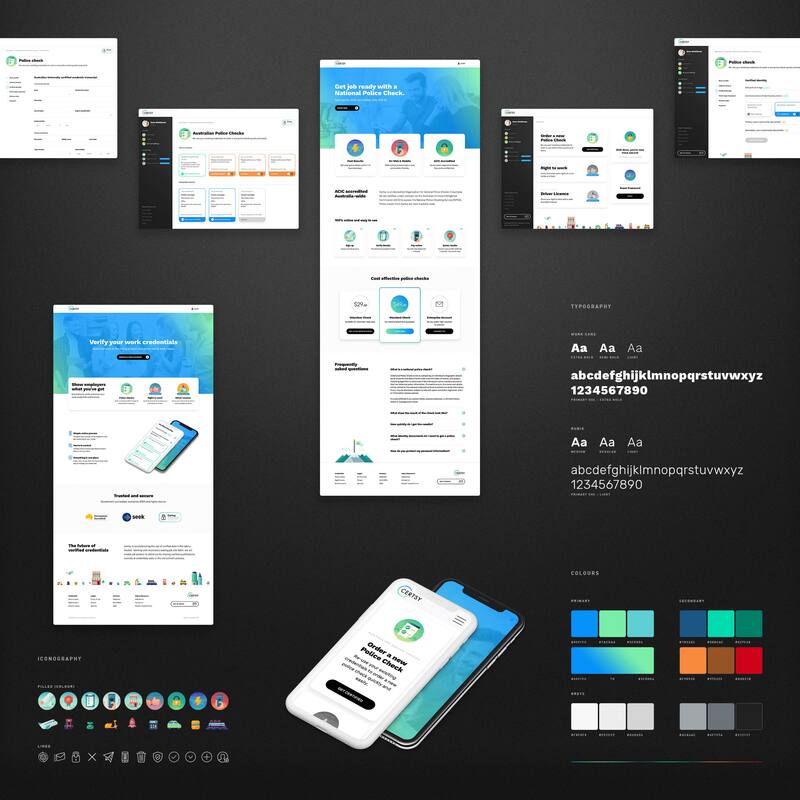 Throughout this project, we conducted a user experience (UX) audit where we made recommendations and presented ideas to aid in fine-tuning the overall experience. Once completed, the user interface was designed with ease of use and interactivity in mind. Throughout the project we collaborated with developers, working out design specs, responsive states and user interactions. Finally, delivering a complete user-centred project.